It’s something everyone deals with, but few people want to talk about — hearing loss. Research shows that one in three adults ages 65-74 have hearing loss and around 28.8 million U.S. adults would benefit from wearing a hearing aid. Sadly, only about 30% of people actually do. This inaction doesn’t just lead to difficulty hearing but also, increased dementia rates, depression, and struggling relationships. Many people experiencing hearing loss simply suffer in silence. But spring is a time for emerging leaves, flowers, new beginnings and growing together. 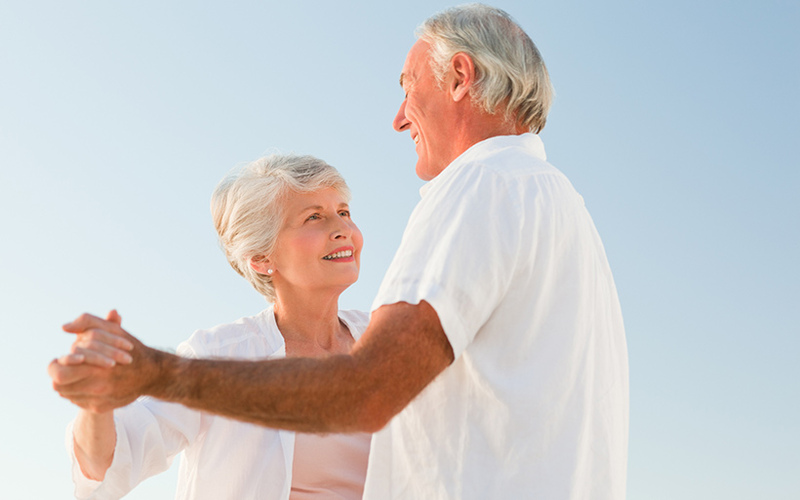 Isn’t it time to renew your relationship by talking about hearing loss? Studies have found that a person with untreated hearing loss is 2.4 times more likely to develop dementia, including Alzheimer’s. When the part of the brain used for hearing becomes less active, it can start a cascade effect that can impact the whole brain. Doctors call this brain atrophy. It’s the “use it or lose it” principle in action. Depression rates among those with hearing loss are nearly double those of a hearing person. Research has found that as a person’s hearing loss worsens, they often become anxious and agitated. They may begin to isolate. They’re likely to stop involving themselves in activities they once loved as they sink deeper into a state of sadness. This, in turn, can lead to relationship strain among mother and son, daughter and father, close friends, spouses and any other people valued in this person’s life. Your loved one may not be ready to tell you they have hearing loss. They may be afraid or ashamed. They may be in denial. You may need to do some detective work to determine when it’s time to have the conversation. Be on the lookout for these common symptoms and plan to have a loving conversation with your loved one. Having this discussion may not be easy. A spouse in denial may brush it off or get defensive. That’s why approaching this in the right way is so important. You may need to adapt your language used based on your unique relationship, but the steps are more or less the same. Step 1: Let them know that you love them unconditionally and value your relationship with them. Step 2: You are concerned about their health. You’ve read the studies. You know that untreated hearing loss can lead to increased chance of dementia and depression. You don’t want that for your loved one. Step 3: You’re also concerned about your own health and safety. A television that is too loud could damage your own hearing. In addition, studies show that elevated noise can cause anxiety, which may impact your relationship. Your loved one may not be able to hear you calling for help if you’ve fallen or someone’s broken into the house. People connect with others through emotion. If you can paint an emotional picture of the what-if’s, it’s more impactful than simple facts. Step 4: Agree together to make an appointment to get a hearing test. Do it right then. Don’t wait. Step 5: Be ready for any objections. These could happen anywhere in the process. You know this person. What will their objections be? Money? Time? Do they not see a problem? Do they think they can use herbal remedies? You know that “natural hearing loss cures” don’t really work and could cause more harm than good. Be ready with your responses. You might even rehearse them in the mirror. They don’t have to be word-for-word, but they should address your significant other’s concerns. Talking about hearing loss isn’t easy if your significant other isn’t willing to open up. But by having this conversion, you’ll grow closer and be able to get your loved one the help they need to live a longer, healthier, more fulfilling life. Growing, together. Isn’t that what love and springtime are all about?